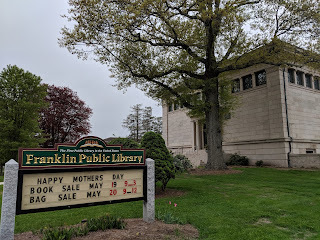 "The Franklin Public Library, 118 Main St., will host local author Arlyn Halpern on Tuesday, June 5 at 6:30 p.m.
Halpern, a psychotherapist and writer, will give a talk about her new memoir, “Dancing into the Light.” It’s a heartwarming tale of her journey from a challenging childhood in suburban Chicago to self-discovery and greater wisdom through dance, living in three countries, and intensively studying mindfulness and meditation in India and the U.S. with a Buddhist master. It’s a compelling tale of love, loss, adventure, humor, and personal and spiritual growth. “There are many joyful and funny experiences (in the book) - dancing in a carnival at age 15 and falling in love to name a few,” says Halpern." "We value our readers and those connected with the communities we cover; that’s why we would like to hear from you in person. Come share your thoughts and story tips at Coffee With The Editor events planned for Milford and Franklin this month. Milford Daily News Editor-In-Chief Anne Brennan and Multimedia Journalist Scott Calzolaio will be at the Franklin Public Library, 118 Main St., from 10 a.m. to noon Wednesday, June 6. The Milford Daily News staff will be on hand from 10 a.m. to noon on Wednesday, June 13 at the Daily News office, 197 Main St. for a second Coffee With The Editor event."